#bbdigital is a global platform that provides resources and builds community for content creators of color.Our mission is to empower black and brown media makers and entrepreneurs of color to “ DO IT TOGETHER!” Sign up for our bi-weekly newsletter, ‘The Plug’ to stay in the loop with grants, jobs, events and inspiration so you can tell the stories that you want to tell. Connect with like minded creatives through our events and partnerships. Through our yearly event, #bbdigital presents... #bbdigital thematically highlights digital content made by/about people of color. Our curatorial lens is both provocative and thought provoking in which we encourage conversation and coalition building amongst an audience of filmmakers, technologists, artists, media makers, community organizers and entrepreneurs. We foster an environment where our attendees leave each event with a new coalition of partners in media, film and tv tech, and business. 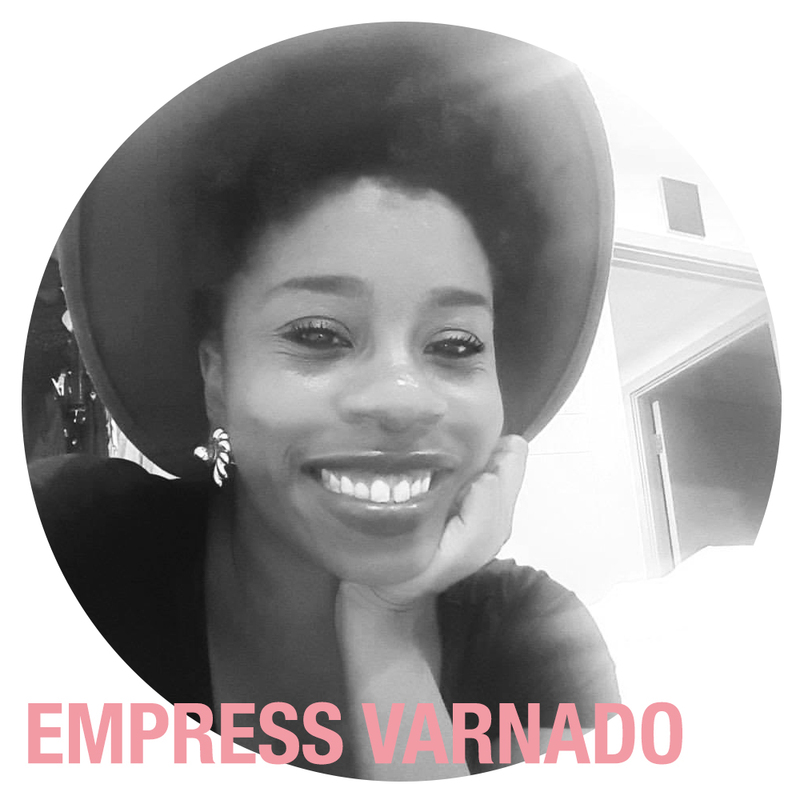 Empress is a digital content strategist and producer whose obsession with indie media, pop-culture, youth development and coalition building, drives her to curate experiences that educate, entertain and empower the masses. Empress’ mission is to use the power of social media, television, and film to show the beauty and diversity of the global black community. She has worked the likes of ABFF, BET, TV ONE, Creatively Speaking Film Series, The Turner Group, and many other companies to effortlessly promote meaningful stories and powerful images. Empress received her B.S. in Public Relations from Clark Atlanta University and an M.S. in Media Management from The New School University. Empress is currently writing her first multimedia literature experience, entitled, The Black Woman’s Guide to Happiness. Darren is a producer/director living in NYC. Born in Brooklyn and raised in Tampa, FL; Darren is a graduate of the New School. He's Co-Creator and Executive producer of Comedy web series, "Brett and the City". Darren is a Curatorial Assistant at Creatively Speaking Film Series, led by Michelle Materre. Together he along with producer, Empress Varnado started #bbdigital; a series of events bringing content creators of color together. Darren will direct BodyMore. Malikah is a Detroit born Brooklyn based media professional. She is the Director, Producer and Editor of the short docs "The Vortex" and "Transplants". She is the head writer of the weekly blog "Detroit Girl In A NY World" and is also the curator of The Bilalian Experience, an online collection of positive images of Black Muslims in America. She is currently in pre-production for her first short narrative film. Kiri is an International award-winning filmmaker, skilled in multi-media development, production, brand management with a strong background in social justice advocacy & community organizing. Specializing in creating content that provokes thought, inspires change & entertains. Named by Essence Magazine as one of “The 25 Most Influential African-Americans” & featured on Ebony Magazine “Power 150” list. She recently founded The Just-Us Project, a multi-media platform developed to actively address social justice issues through media, art, and community outreach. Lauren is a freelance producer, content creator, and media consultant based in New York City. Lauren has contributed to a range of projects in various mediums including independent film, documentary, non-fiction television, marketing videos and branded entertainment. Lauren received her M.S. degree in Media Management from The New School, specializing in producing and media business and leadership.